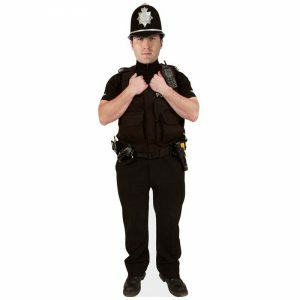 Who is the Talent Exchange ‘Policeman’? From time to time issues arise in the Talent Exchange that anger and irritate users: members exceeding their debit and credit limits; members having no offerings; members asking for more Rands than Talents; members using the exchange to promote their Rand businesses; flaky, meaningless offerings given in order to get an account; members who never respond to emails; members advertising in Talents and then demanding Rands, etc. The usual reaction to wrongs is to look for an ‘authority’ to fix things. A report to the ‘authority’ is supposed to trigger an action that puts right the wrong. In the Talent Exchange the obvious ‘authority figure’ is the Administrator. A note to the Administrator should fix things. There are even buttons to click, such as “Report advertisement”. One click and the Administrator will deal with it! In the Talent Exchange it does not work like this. It is a place without ‘authorities’, rulers, bosses and other power brokers. No one has the ‘final say’ on things. The Administrator’s ‘job description’ includes taking on new members, removing defunct accounts, managing group ‘revenue’ (levy ‘income’), combining/splitting accounts, helping members with queries etc. ‘Policeman/woman’ is not listed. So if there is no ‘authority’ then there is no order, just chaos and everyone doing their own thing? The Talent Exchange does have rules (read them here) but there is no ‘law enforcement’ imposing them. We are a bunch of responsible, caring adults with understanding, conscience and compassion. This means that if we feel something is unfair or just plain wrong, we don’t appeal to a faceless, anonymous ‘authority’ to deal with it. We deal with issues directly. In the same way as we have cut banks and other financial intermediaries out of our trading, so we must cut ‘authorities’ out of our relationships. If you see members abusing the Exchange (e.g. taking a lot and giving nothing), contact them directly and let them know you don’t approve. If you see an unsatisfactory offering, let the advertiser know. If you encounter members who prefer Rands to Talents, try to help them understand that by using Talents they save their Rands and so have more Rands in the end. The Talent Exchange is an attempt to create a friendlier, more compassionate ‘economy’ of mutual aid, in contrast to the dog-eat-dog competitiveness of the conventional economy. We are all responsible for what happens in the Exchange because it is OUR Exchange, not a tool designed to benefit its providers at the expense of its users.